One of the last layouts I created before I took my several year long break from scrapbooking. 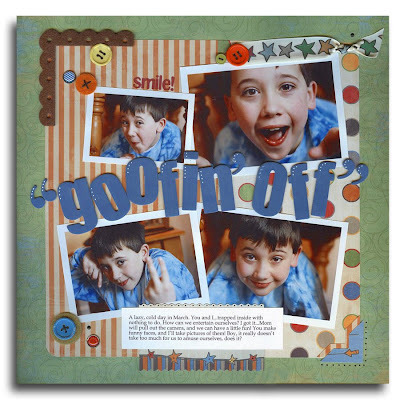 I'm trying to get back into scrapbooking, taking pictures, and documenting life. It has not been easy to reorganize my world, but I think it is time to get back on the train and ride once again. I miss it. I'm sad that I stopped. I wish I never did, but personal issues took over. Now, I need to find my style once again! Fancy Pants - Rough & Tough and more! Got a little distracted and forgot to post the last layout that I did for Fancy Pants for CHA Summer. This fun line is all about boys and is so fun! It's called Rough & Tough. Lots of great colors and designs here! Here's a quick preview of the line. 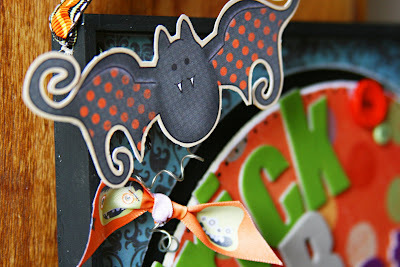 You can see all of the great creations by the Fancy Pants design team by dropping by the Fancy Pants blog. I love the soft colors and the tone on tone designs of Little Sprout...and it's not just for babies, either. Check out some of the DTs designs here. And last, but not least, is a beautiful Christmas collection, Christmas Magic. Deep colors and festive designs with this collection. More DT work here. I hope to get creative this week with these last two lines. Keep your eyes peeled! Thanks for stopping by and have a super day! New Fancy Pants Dancing Girl! 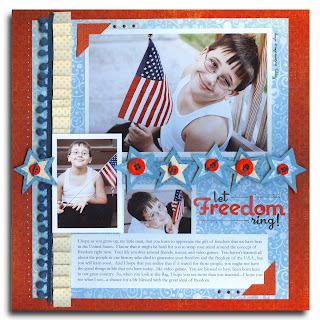 Once again, I can share another one of my pages from the new Fancy Pants Summer CHA release. Since I am the mom of a boy, I don't often pull toward girly papers. I like deeper colors and more boyish designs. I do love the new Dancing Girl line from Fancy Pants, though. It is so fun and happy! Here's a little peek of the awesome-ness! I like the colors of the tone on tone papers, and I think the doodley papers are adorable, too. Throw in some sweet rub-ons and notebook journal papers...and you've got a hit! I pulled out some pictures of my nieces for the page that I created. This page turned out to be one of my most favorite that I have created recently. 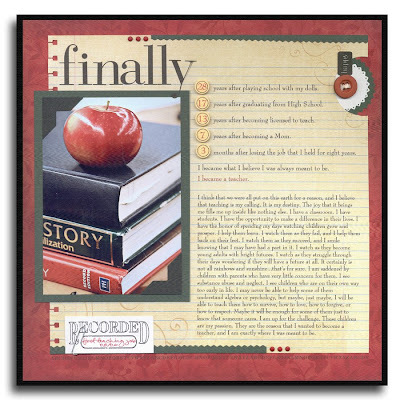 I used an acrylic page from one of FP's Mixed Media books as a home for all of my page elements. And, of course....I added my all time favorite buttons! It doesn't get any better than that! 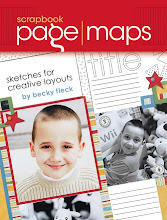 Stop by the Fancy Pants blog for more pages and some giveaways! Thanks for stopping by and have a super day! New Fancy Pants Trick or Treat! It is just so fun, that I am actually looking forward to scrapping last year's Halloween pictures. 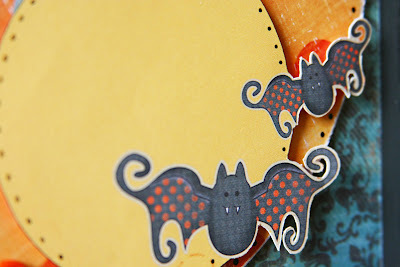 I did get to create a very cute Halloween sign with the collection, and I love how it turned out. I originally wanted to give it to my friend because she is a big Halloween decorator, but now I just want to keep it for myself! I will be back soon with more stuff from the new Fancy Pants collections, and you can check out their blog for awesome work from the other DT girls and some fun giveaways! Crazy, huh? I guess I was just feeling motivated and creative. I have to say that my main motivation for this page came right from the picture. My niece, Brianne, shared the picture on her Facebook, and I fell in love with it immediately. I knew that once my mojo came back that it would be one of the first pictures that I turned to! The colors are a bit off in my scan, but the lumpiness of the page made it tough to scan at all. 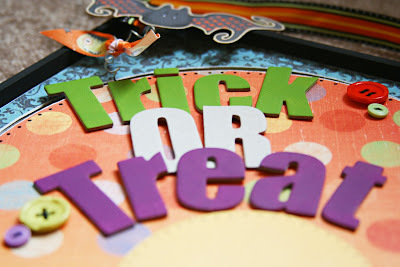 I got to use the new Kraft Kuts Girl line from Fancy Pants for this page. FP introduced some new letter stickers last release, and I was thrilled! I love the basic font that they chose. You can see them on my page---they're the letters in "this is." Like I mentioned the other day, Fancy Pants has 5 new lines coming out this summer, so keep your eyes open here and on their blog for some new scrappy goodness! I got my goodie box in the mail the other day, and I have been on cloud 9...you're going to love what Fancy Pants has for you this time around! These Summer days are just clicking right off. Before you know it, it will be back to school. Things are finally starting to get back to normal for me. I have my motivation back, and I have been working around the house a lot. The one thing that I have not been doing is taking pictures, and that makes me sad. Unfortunately, I can't go back over the past 4 months and re-live everything with my camera by my side. All I can do is plan for tomorrow. So, I have made myself a promise to carry my camera with me and take more pictures before the entire year of 2009 is gone! So, I guess Ryan better watch out because I will surely be following him around a lot more over the next few months! 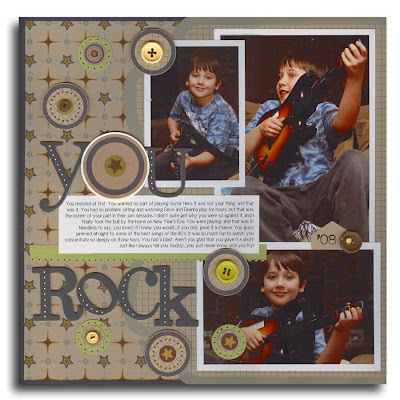 So, I took some time to sit down and actually do some scrapbooking. I pulled some photos out that I took on New Year's Eve. It was Ryan's first attempt at Guitar Hero! He was hesitant to play, but he ended up loving it. So, it was certainly a scrap-worthy event. I used one of the more recent lines from Fancy Pants on this page. I am pretty sure that every single supply that I used was Fancy Pants...with the exception of my computer, cardstock, and a pen. The line is called Kraft Kuts Boy, and it is so fun! I just love Kraft so much, and the designs are awesome! 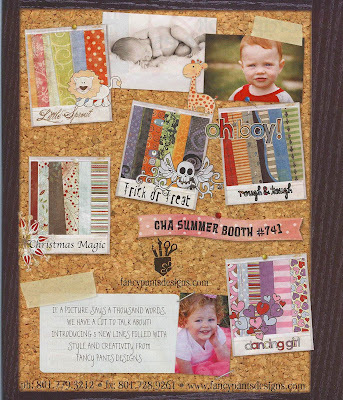 For those of you who have not seen the August issue of Creating Keepsakes yet, Fancy Pants is coming out with 5, yes 5, new lines for Summer CHA! I was drooling as I flipped across the ad. I scanned the page to share with you guys. I can't seem to decide which line I am loving the most so far. I'm diggin' the muted tones of the Little Sprout line...even though there are no babies in my life. 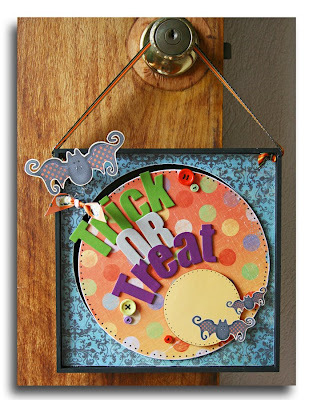 I also love the Trick or Treat line and the Rough & Tough boy line (of course)! I will be sure to share my new creations with you all once the new stuff arrives on my doorstep. I know that CHA time is so much fun with all the sneaks and stuff! I have my eyes open for what all of the awesome scrapbook companies have in store for us this summer! ....although the thought has crossed my mind several times. I have been trying to get some stuff done around the house here...you know those fun things like pulling weeds, painting, landscaping, etc.....My buddy, Ryan, is away this week with his Dad in North Carolina, so it has been perfect for getting things done that are hard to do when he's around. The weather has been a bit "iffy" at best...chances of rain almost every day for the past week or more...ick! Today was the first day that the sun actually was shining for most of the day....yippee! It's hard to sit in the house and do anything when the sun is out playing in the sky! So, I have my scraproom all straightened out and ready to go once my chores are done...LOL! 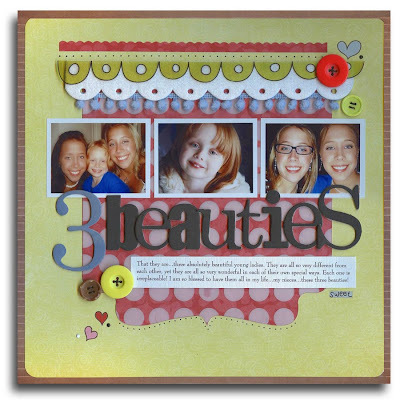 In the meantime, I have another layout to share that was published in the May/June issue of BHG Scrapbooks, Etc. Lots of journaling here about how I finally got my first teaching job after 13 years of being certified! I had to get this story down on paper since it was such a HUGE deal to me. I'm pretty sure if you click on the picture that you would be able to read the journaling (if you are in the mood)! I was thrilled to have this published! Thanks for stopping by, and maybe you'll see a new layout from me....one of these days!!! Have a great day!